Hey lovelies! I had to take the last couple of weeks off because I came down with both a serious flu and sinus infection. Eww, right? I am still a little fatigued but I can actually concentrate on something now. 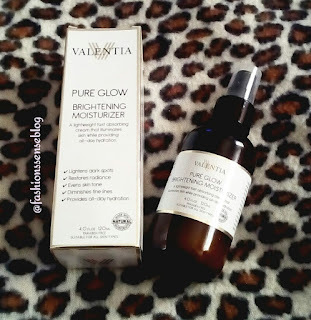 So while my concentration is still intact, let me give you lovelies the low down on my experience with Valentia Skincare's Pure Glow Brightening Moisturizer. For those who know what an emollient is this sounds redundant. However, in this case, it is not. An emollient is a moisturizer. 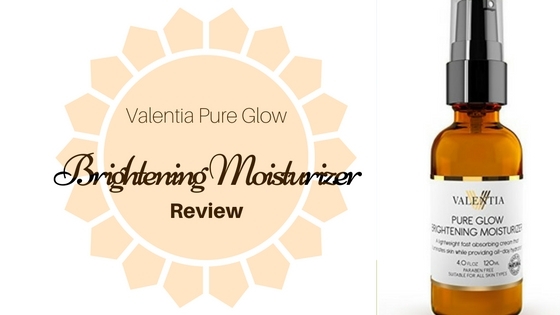 In the case of Pure Glow Brightening Moisturizer, it is made up of numerous emollients to create one emollient-rich cream/lotion that will be my best friend this fall and winter. This moisturizer contains five skin-loving emollients such as safflower oil, jojoba oil, shea butter, vegetable glycerin, and aloe. With summer fading away, that summer glow will as well. You can help maintain a brighter complexion this fall and winter with the skin brightening ingredients in Pure Glow Brightening Moisturizer. Ingredients such as kojic acid, glycolic acid, and licorice work together to brighten and even skin tone. Pure Glow Brightening Moisturizer also contains ingredients that help fight the signs of aging. 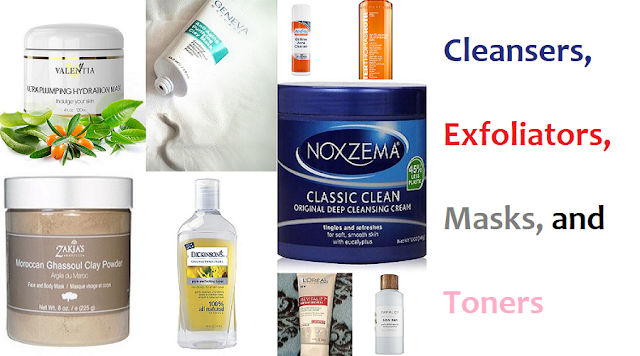 Along with skin becoming drier as we age, it also loses elasticity and firmness. Botanical hyaluronic acid, ginseng, and salicylic acid help to keep skin looking more youthful. Before I became sick, the moisturizer provided me with more than enough moisture. In fact, I only needed a tiny amount for my face. 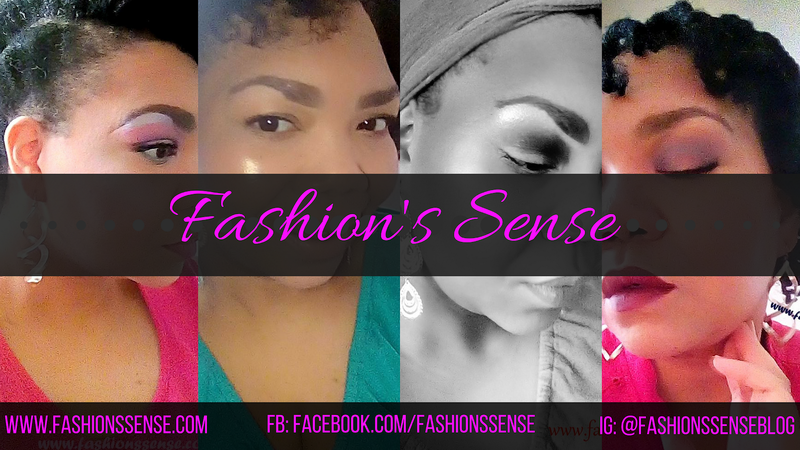 Right now, the ravages of my flu and sinus infection left my skin dull, dry, and patchy. Pure Glow Brightening Moisturizer is beginning to restore some of the moisture lost. My skin is already beginning to look less dull. I will probably need to give it another week or so for my skin to bounce back. I will post pics on social media so you guys can see. Initially, I felt like this moisturizer would need to be shelved until mid-fall for me. It is very moisturizing and it was a little too much for my skin during the heat wave my area has been having. The good Lord knows what he is doing because after being sick, my skin NEEDS this moisturizer! I give this moisturizer an A- because it is not as lightweight as I think it should be if it is for all skin types. If your skin tends to get drier when colder weather hits, this moisturizer will keep your skin hydrated, soft, and will help brighten your complexion. Lovelies, I did format this review a bit differently than previous ones. I did this because I was impressed with the ingredients in this product. I wanted you guys to know how the key ingredients related to the properties of the product. I need to make one more mention about an ingredient in this product because I know some of you lovelies are very eco-conscious. It does contain palm oil. I had to mention this before any of felt I was not being upfront with you about the product. If you do not know the connection between palm oil and the environment you can search for it on our own.